We’ve written about bucket lists for football fans before on El Take it Easy, and this article will be very similar. One of football’s biggest international tournaments is currently taking place at the minute in France. The European Championship is being contested by 24 national teams including the host nation, England, Germany, Spain, and Portugal to name but a few. With the host nation looking to win their first major tournament since 2000 when they beat Italy 2-1 in the European Championship Final, they will have some tough competition. Spain will be looking to regain the trophy they won in 2012, perennial underachievers England will be looking to claim their first major trophy since 1966 and Germany will be looking to build on their recent World Cup win. France in the summer is a wonderful place to hold a major sporting event. 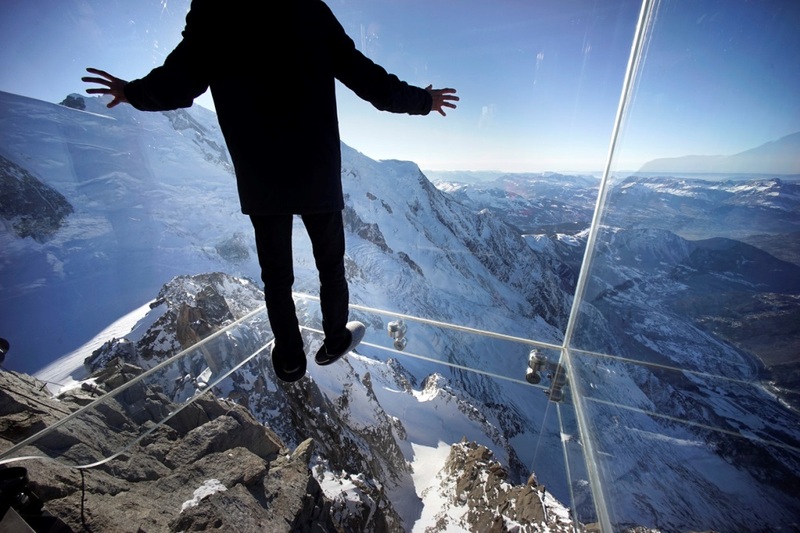 With millions of fans ascending on France this summer, many of which will travel without tickets, the French government is preparing for a huge spike in their tourism industry. But what are the regions where the games are being played? 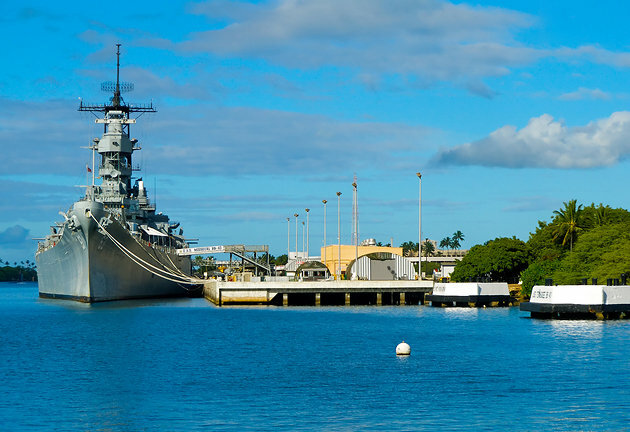 We have chose four of the very best places to watch games in during the next month. 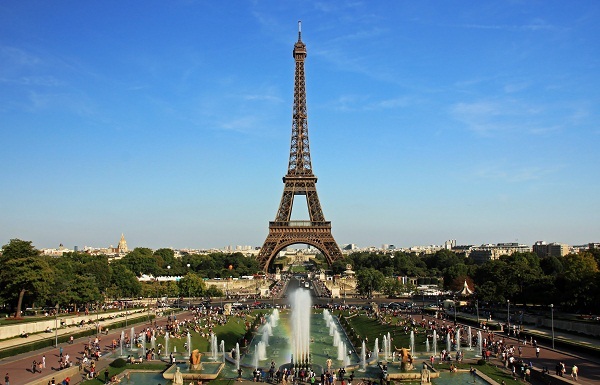 France’s capital city is worth visiting for famous landmarks such as the Eiffel Tower, the Louvre, Notre Dame de Paris, Arc de Triomphe and the Palais Garnier. 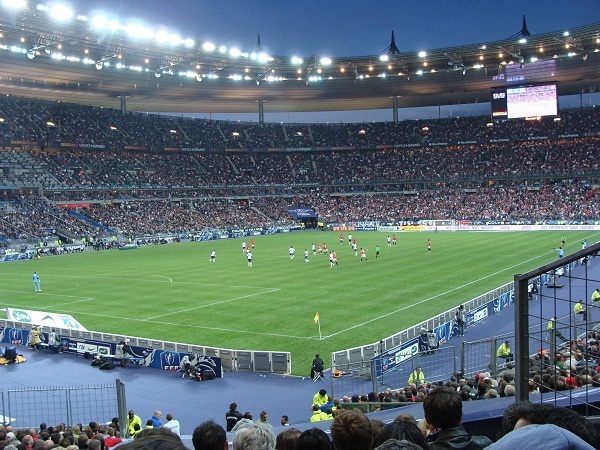 But for the sports fans heading to Paris this summer they will likely be attending a game at the Parc de Princes, France’s international team’s stadium. It holds 48,712 and is a state of the art all-seated stadium. Famous for its many vineyards, Bordeaux will host a series of games at this year’s tournament. The Nouveaux Stade de Bordeaux holds 42,115 people and is one of the biggest stadiums in the whole of France. But that doesn’t mean to say all the focus will be on the football. Bordeaux, like Paris, has many wonderful landmarks to visit including Place de la Borce, Bordeaux Cathedral, Grande Theatre de Bordeaux, Toure Pey Berland, Ponte de Pierre and the Musee d’Aquintaine. For more information on the beautiful landmarks of Bordeaux, visit this website. 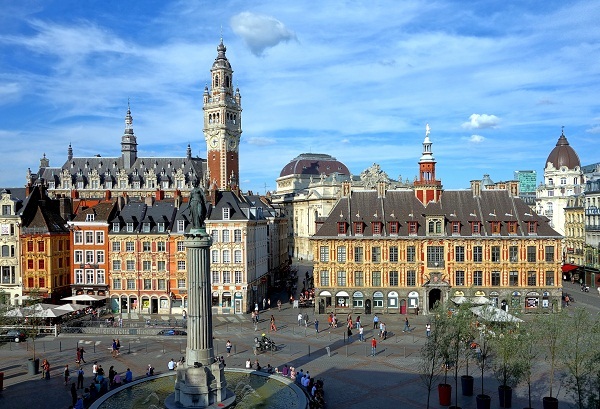 A 17th century brick town, with beautiful cobbled streets, Lille is an architectural wonder. Influenced by Flemish culture, its cuisine is still very much inspired by its neighboring countries the Netherlands and Belgium. With a University now taking pride of place in this quaint city, in recent years it has been transformed into a bustling, and vibrant city in the north of France. Located in southwestern region of France, Toulouse is known for its aeronautics, information technology, electronics and biochemistry companies that have driven its economy in recent years. 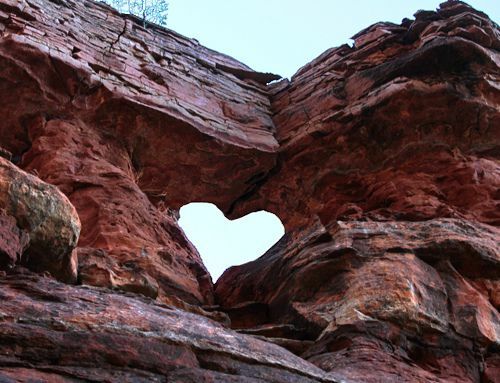 It’s also the home to landmarks such as the Pont Neuf bridge, Cite de l’espace, Musee de Augustins, Museum de Toulouse and Toulouse Cathedral. The football stadium was built in 1938 and remains one of the most important sports stadiums in the country. 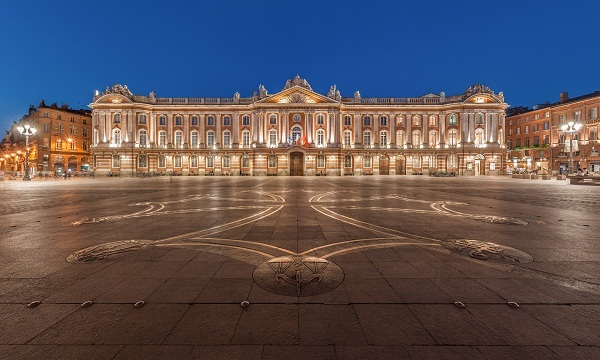 It holds 35,472 and is located in the center of Toulouse. For a list of all the upcoming European Championship fixtures and where they are being held, you can view the list here. In order to make the most effective of poor soil, conservation, and mountainous terrain, terraced farming was introduced by numerous cultures round the world. Extremely labor intensive to create, terracing allowed the land to support civilization’s enlarged would like for crops, livestock and poultry. Erosion was avoided, rain and runoff water was preserved, and otherwise unused hillside became arable due to terraced agriculture. Not solely do these terraced fields give essential goods for the local individuals but they additionally feature a number of the foremost spectacular landscapes in the world. Sa Pa may be a city in northwest Vietnam shortly from the Chinese border. 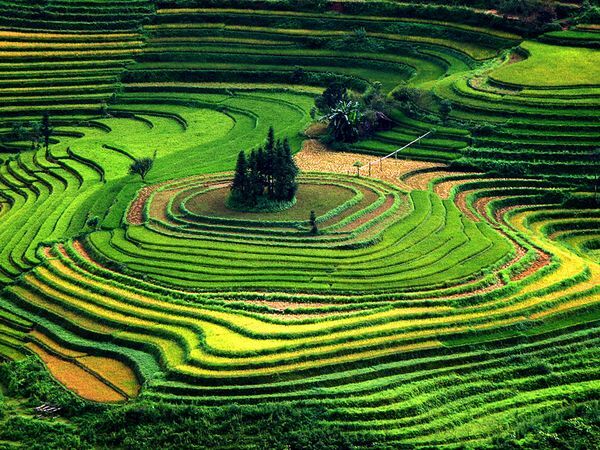 The rice terrace fields, among the foremost common tourer attractions in Vietnam, are often found in the Muong Hoa valley between Sa Pa city and also the Fansipan Mountain, on a background of thick bamboo woodlands. Local mountain individuals, the Hmong, Giay, Dao, Tay, and Giay, grow rice and corn on these paddy terraces, together with vegetables. Because of the climate, only 1 rice crop a year are often created, leading to plentiful malnutrition. 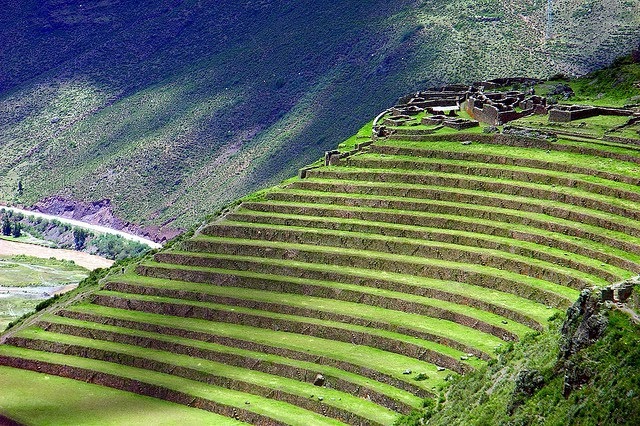 The still intact terrace fields of Pisac, made by the Incas, are still getting used these days. 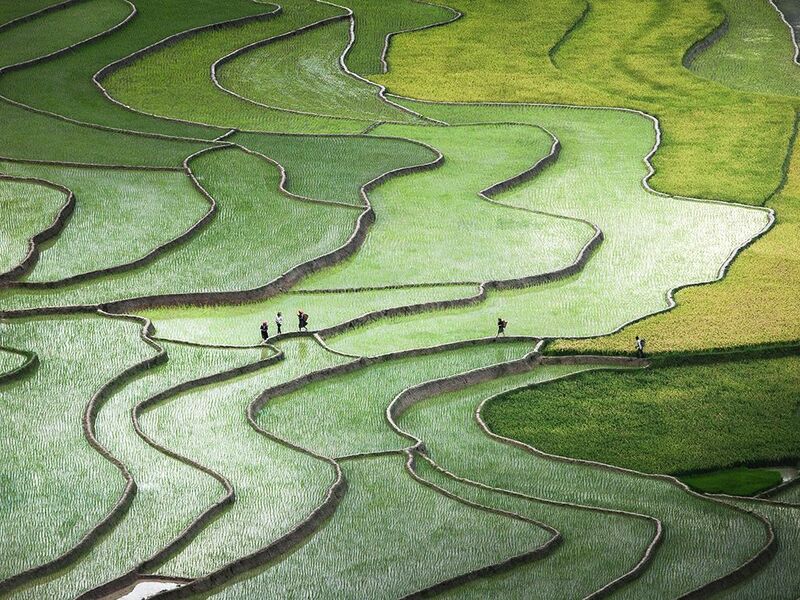 These mountainous terraces incorporate sixteen completely different cultivation sections. Pisac, a word of Quechua origins,suggests that “partridge”. Inca tradition settled building cities within the shape of birds and animals, and as such, Pisac is partridge shaped. The Pisac terraces enclosed a military bastion, spiritual temples, and individual dwellings, and overlook the Sacred Valley, between the Salkantay Mountains. These terraces even boated 2 suspension bridges, the bases of which might still be seen. 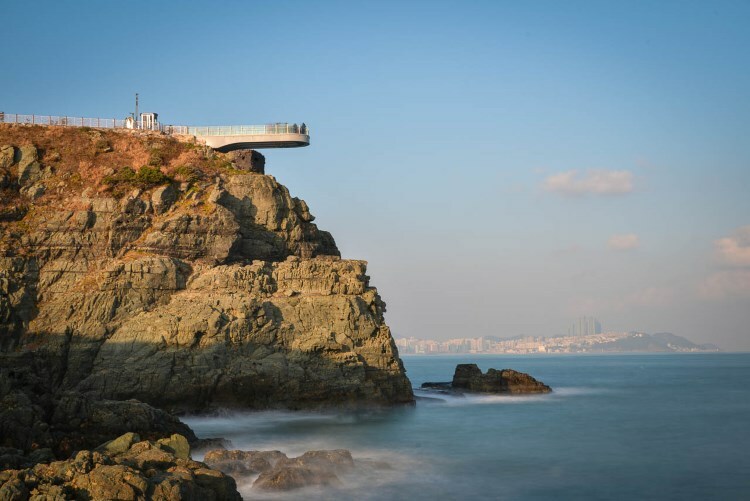 The home of por t wine, the Douro Valley is found in northern Portugal, some distance from town of Porto. The hills of the valley are coated with terrace fields of vines falling steeply right down to the river banks. The scenery of the valley is spectacular with the colours of the land changing throughout the year as the vines mature In autumn the vines take a reddish and golden color, while in February-March the almond blossom provides an additional white pink tone to the region. As well as port wine, regular red and white wines are also produced in the valley.